Voice Recognition is one of the hottest trends in the era of Natural User Interfaces. When used wisely, speech recognition is an effective and intuitive means of communication. As Virtual and Augmented Reality emerge, voice recognition is becoming a vital communication method between the human and the computer. Microsoft is now bringing Cortana, the high-tech virtual assistant, to every platform, including PCs, phones, XBOX, and, of course, HoloLens. The source code of the project is available in our LightBuzz GitHub account. Feel free to download, fork, and even extend it. The user will be prompted to move a visual element on the screen. To move the element, she’ll need to say the direction: up, down, left, or right. The app will be listening for voice commands and will change the direction of the object when a voice command is recognized. A speech recognition engine works best when you feed it with as few words as possible. Instead of searching the whole spectrum of the English language, we shall limit it to a small range. For our game, we need only four keywords: up, down, left, and right. We can also specify the confidence level of the speech recognition engine. The confidence level is a value that indicates how ambiguous words should be treated. Use Medium or High for native English speakers, and Low for non-native speakers. The third variable is the speed of the object. All of these members are declared public, so you can edit them right into the Unity Editor. Now, I would like to introduce you to the KeywordRecognizer class. The Keyword Recognizer encapsulates the voice recognition engine. This is a tricky one and it can be easily missed. To enable voice commands in your Windows app, you need to add the Microphone capability under the Player Settings. KeywordRecognizer is available for Windows Standalone and Windows Store Universal (Windows 10). The exported project will also work in Windows Store 8.1, however, the speech recognition features will not be available in Windows 8.1. The app can run offline, too, using Cortana’s speech infrastructure. Unlike Siri, no active Internet connection is required. 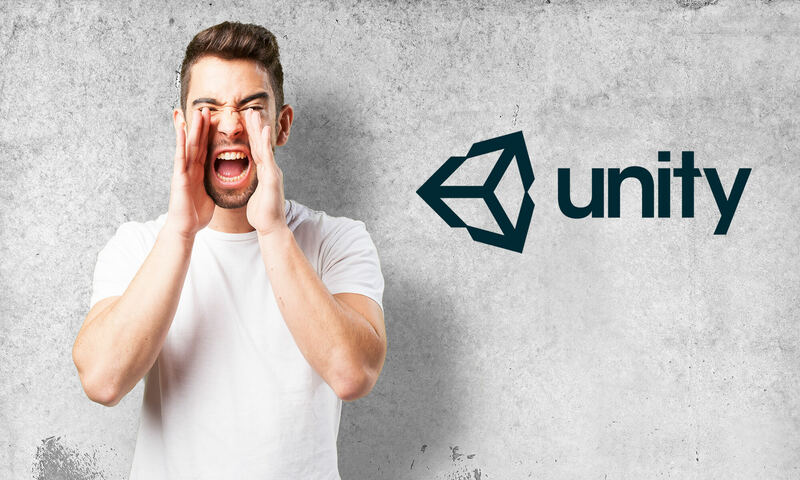 In this tutorial, we learned how to use Unity’s KeywordRecognizer to understand voice commands and integrate it into a Windows Store application. Ready to transform your own business using Speech Recognition? This looks amazing! Thanks for sharing. Do you know if this would be compatible with a Vive application? Hi Blair! Thanks for your kind words and support. 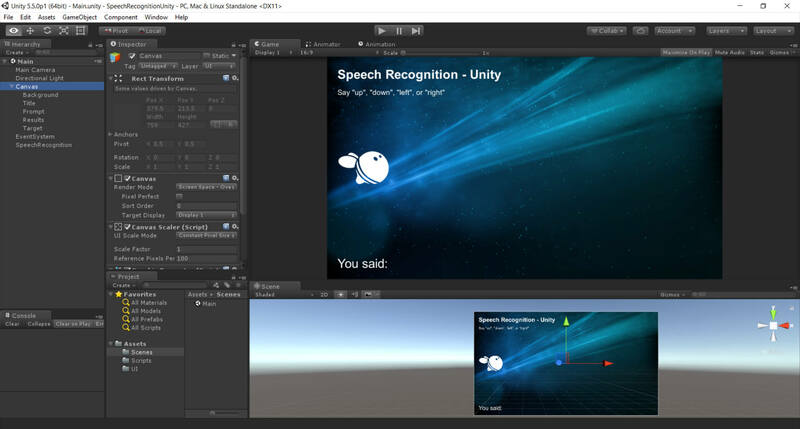 Speech recognition is part of Unity and it runs on the application side, while VR is only a “projection on a headset monitor”. I strongly believe that running on Vive won’t be an issue. After all it’s a PC game and all you need is a microphone! How to make it work on the Android system? Ahh. Ok. I do remember seeing something about speech recognition a while back in Unity. I’m just surprised we haven’t seen more of it turn up inside of VR yet. Maybe the processing is heavy? I’ll have to try an experiment or two. Thanks. Hi Jake. Have you enabled the Microphone capability in your Player Settings? Hello Jake. Seems your computer is not supporting Speech Recognition. Consider enabling Cortana or updating Windows to a newer version. And I had enabled the Microphone capability in Player Settings like this (image:http://imgur.com/a/X0mjC). But the error still occurred. Hi Brian. Have you enabled Developer Mode in Windows 10? Yes, I had enabled it. But the error still the same one. What version of Windows are you running? Voice Recognition works with Windows 10 Anniversary Update or later. For example, the version of Windows on my computer is 1607 (Settings → System → About). I’m using Win10 Business and version is 1607. Couldn’t find any information related to your issue. 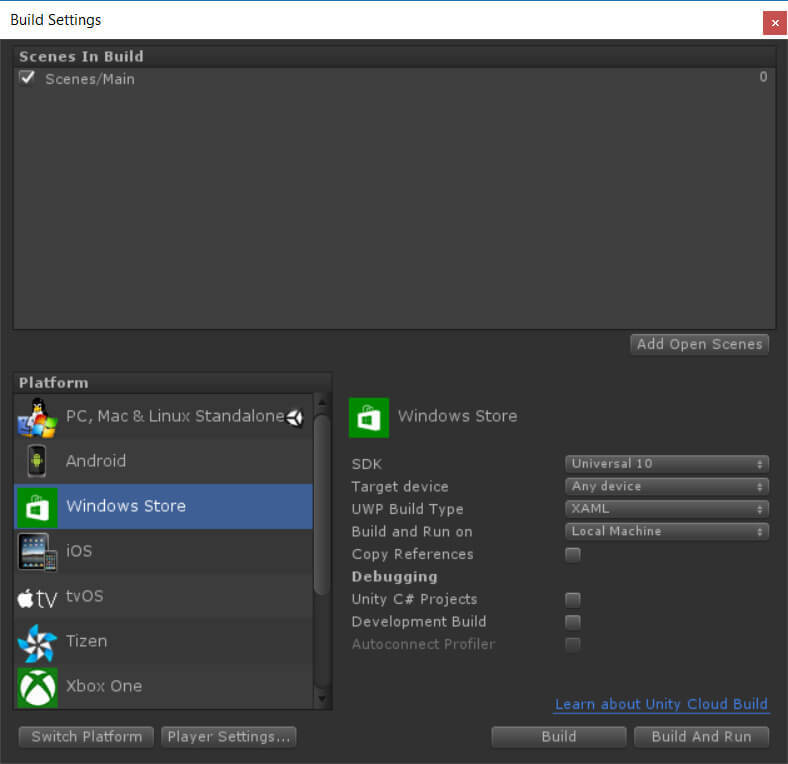 Does the version of Unity you are using include Windows Store 10 support? how one can set language? is inherited from the language of the unity project? Hi Massimo. KeywordRecognizer does not have an API to specify the language. You could use the native UWP speech API to specify the language at runtime. Did you managed to add more languages? @Vangos thanks for this great example! It can be applied to Android phones? Hi Amjad. This works on Windows only. It’s using the latest Windows 10 speech capabilities. For Android and other mobile platforms check this plugin. I tried to run this project and it seems that Unity does not recognize my microphone ( or something like that) because it does not get any command. Any idea why and how I can fix that? Hi Andrew. You can check the micropohne devices list to ensure Unity is detecting the right microphone. Hi. I’m developing a fully immersive VR game using speech to text, a conversational agent, and then text-to speech. The object is to have an NPC that can have full conversations with you. Originally, I jumped on the IBM Watson bandwagon, but the lag with trying to integrate 3 APIs the serializing and deserializing the data was too much. Not to mention the trouble I had with the very spare documentation from IBM. I ran across your page and am now going to this method. Thank you kind sir! Do you know other plugins that may work on Android? The one you metion above is no longer avalaible (Unfortunately, Speech-to-Text is no longer available.). Hi Teresa. You can try the Android Speech TTS Unity plugin, which also added offline support for the English language. hi can you make a tutorial for android? We need that for our capstone project, i can’t find any tutorial for that, plss i’m begging you. Hello. You can use the Android Speech TTS plugin. Hello Ajay and thanks for your comment. The voice recognition code would remain almost the same. To display your results, I suggest you get started with the new Unity UI system and animations. I have a question: Is it possible to use audio files as input instead of the microphone? I’ve been looking at DictationRecognizer and it seems to only support speech input from microphone only. Any advise will be great, thank you! Thank you for your comment. As of now, Unity only supports input from the microphone only. I am having an idea of creating a play button for the video player and dumping the script of c#code which contains keyword recognition to the player and adding a button to the script and when I say play it should play! Thank you very much for the good work! Could you tell me if it is possible to learn the system new keywords it doesn’t know (e.g. some special names)? It would be pretty cool! I’m a student working on a game project, can I use your code tweak a little and sell it? Would i need to buy any license from you or? Is mentioning in the credits is enough? Hi Anna. 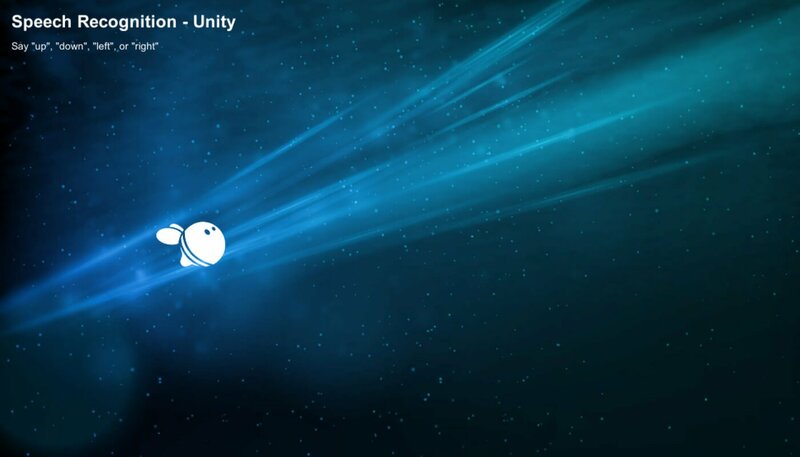 The code is part of the Unity3D engine, which has commercial licenses. You can use the code in any way you like. No credit is required, even though we would definitely appreciate it. Thanks this has been super helpful.